The first SpaceX Crew Dragon (aka Dragon 2) vehicle destined to fly in space has arrived in Florida ahead of its launch, due in August 2018. The capsule is intended to be part of an uncrewed first flight to test the vehicle’s flight test systems. Prior its transfer to Kennedy Space Centre (KSC), the capsule and service module were the subject of extensive thermal vacuum chamber tests at NASA’s Plum Brook Station in Ohio. The world’s only facility capable of testing full-scale upper-stage launch vehicles and rocket engines under simulated high-altitude conditions, the chamber is a vital part of pre-launch testing – although by the date of the capsule’s arrival at KSC, the results of the Ohio testing had not been made public. No official date for the first Crew Dragon flight has been released, but SpaceX are pushing ahead with work to prepare the vehicle for launch, in anticipation of the flight being given the green light for August. The test flight should see the uncrewed test vehicle fly to the International Space Station (ISS), with a follow-up 14-day crewed test flight due to take place in late 2018 / early 2019. The arrival of the Crew Dragon test article at KSC came at the same time as a further US government report raised concerns about both SpaceX and Boeing – the other company contracted to make crewed flights to / from the ISS using their CST-100 Starliner capsule – being able to meet the current schedule for commencing formal operations. A July 11th, 2018, report from the independent Government Accountability Office (GAO) points out that if any significant issues arise with either / both vehicles prior to their formal certification, it could see one or other or both companies being unable to commence active crew launches within the anticipated time frames specified by NASA. Were this to be the case, America would effectively be without the means to send astronauts to the Space Station, as the current contract to fly US crew aboard Russian Soyuz vehicles expires in November 2019. 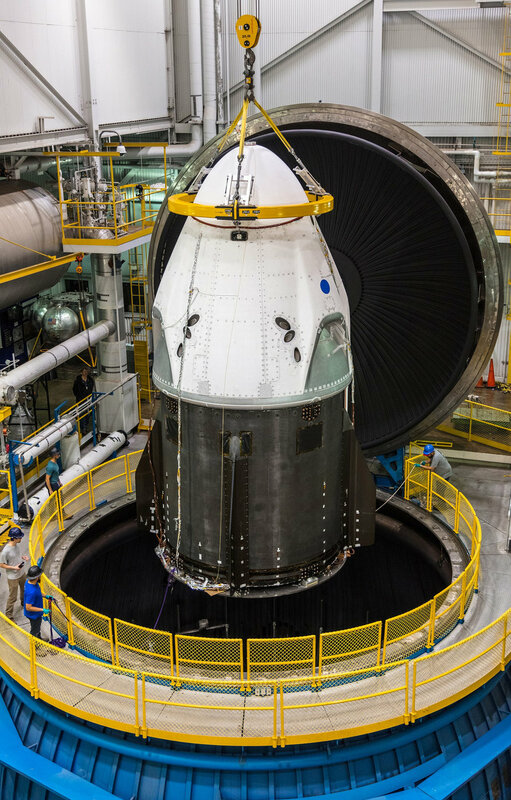 Under the original schedule, the Boeing CST-100 was to have been certified for crew operations in January 2019, and the Crew Dragon in February 2019. However, both these dates were recently revised: the CST-100 certification slipping to December 2019 and Crew Dragon’s to February 2020. With crew rotations to the ISS lasting 6 months, this slippage – which moved the first official crewed flights of both CST-100 and Crew Dragon to several months after the Soyuz contract ends – were not seen as a significant issue. However, the GAO report warns that certification of both vehicles could slip to around August 2020 should difficulties with either / both vehicles be encountered as a result of the test flights (or other reasons). This would potentially see a nine-month gap open between the last of the planned US Soyuz flights and a commencement of CST-100 / Crew Dragon flights, more than the span of a crew rotation, with no contingency currently in place to allow continued US access to the ISS until either of the new vehicles is ready to fly. Ross 128 is a red dwarf star just 11 light-years away from our Sun that over the years has been a source of interest for astronomers. First catalogued in 1926, the star is too faint to be seen with the naked eye, but is classified an old disk star with a low abundance of elements other than hydrogen and helium. Like most red dwarf stars, Ross 128 is given to violent flare activity, although its extreme age makes such events a lot less frequent than “younger” red dwarfs. 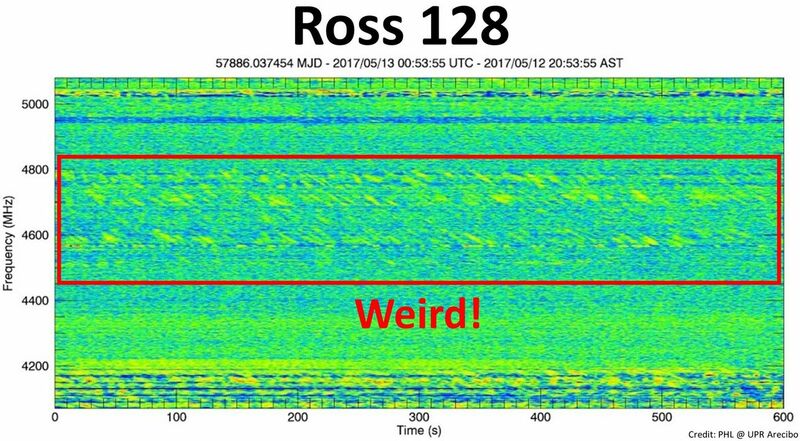 In mid-2017, Ross 128 caused something of a stir when a mysterious burst of signals was recorded apparently coming from its general vicinity. Dubbed the “Weird!” signals, the series of unusual “transmissions” were received by the Arecibo radio telescope, Puerto Rico on May 12th/13th, 2017. At the time, the signals caused a lot of excitement and talk of “aliens” being involved – although no planets had actually been detected around Ross 128. As I reported in July 2017, after further study, it was determined that the most likely explanation for the signals was that they’d been accidentally picked up from satellites occupying the same part of the sky as Ross 128 at the time Aricebo happened to be listening; all attempts to re-acquire them by numerous radio telescoped failed to do so. While there is no reason to change the view that the odd signals of May 2017 were from local satellites rather than originating with Ross 128, in November 2017 it was confirmed the star does in fact have a planet orbiting it. 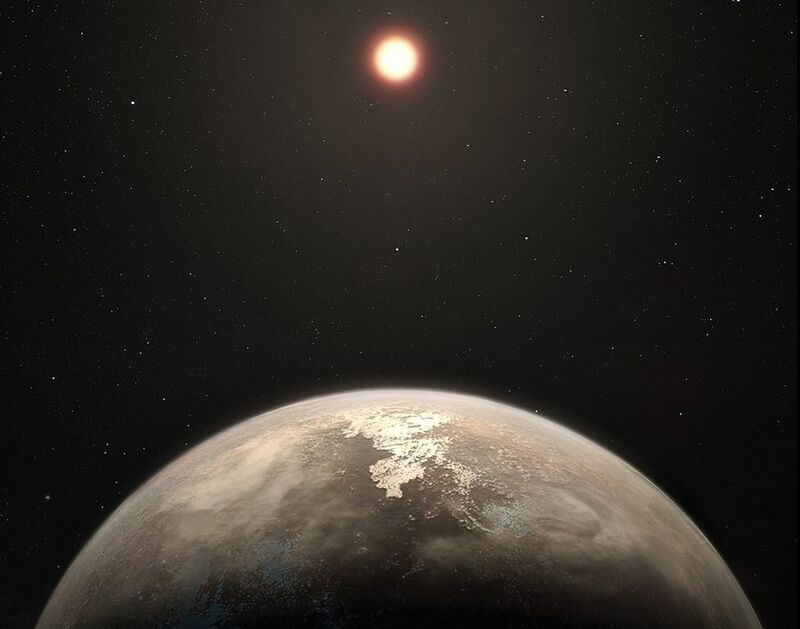 Referred to as Ross 128 b, the planet was first detected in July 2017 by a team operating the High Accuracy Radial velocity Planet Searcher (HARPS) instrument at the La Silla Observatory in Chile. However, it was not until November of 2017 that the astronomers were able to confirm that had located the planet. Since then, the planet has been the subject of indirect scrutiny to try to better determine its characteristics, and the results are interesting. The HARPS data initially suggested the planet to be roughly around the size of Earth and orbiting in the star’s habitable zone. However, further characterisation of the planet – including whether or not it has an atmosphere – has been hampered by the fact that its orbit around its parent star means it doesn’t actually transit between Ross 128 and Earth. As this presents a barrier to analysing the planet directly by the effect it and its atmosphere (if it has one) has on light coming from its parent star, astronomers instead turned to studying Ross 128 itself in their attempts to better understand the potential nature of Ross 128 b. In particular, a team led by Diogo Souto of Brazil’s Observatório Nacional used Sloan Digital Sky Survey‘s APOGEE spectroscopic instrument to measure the star’s near-infrared light to derive abundances of carbon, oxygen, magnesium, aluminium, potassium, calcium, titanium, and iron. 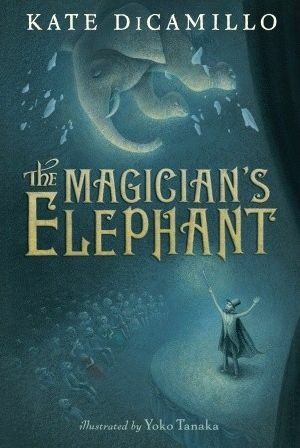 Join Seanchai Library and friends aboard one of the most luxurious means of rail travel, the Orient Express, as they continue their investigations into the most disagreeable events that have occurred en route to Paris. Having been required to return to London from Istanbul post-haste, Hercule Poirot sought passage aboard the most famous train, gaining seat initially in second class, only to be “upgraded” to first class by his friend – and member of the board of directors for Compagnie Internationale des Wagons-Lits, the operators of the service – M Bouc. Prior to his “upgrade”, Poirot is accosted by one Samuel Ratchett, an American also travelling on the train, who demands the detective’s aide as he believes his life is in danger. However, Poirot refuses, on account of finding the American a distasteful individual. Then, on the night after his upgrade to the sleeping berth next to Ratchett’s, he is woken by two events: the first is that the train has become stranded in snow not far from the city of Vinkovci in Yugoslavia. The second is the discovery that Ratchett’s fears about his safety were correct: his has been murdered in his cabin. But who is responsible? With nowhere to go until assistance for the stricken locomotive arrives, Poirot sets out to discover – did someone board the train in secret to put an end to Ratchett, or was one of his fellow passengers in fact the murderer? And what of Ratchett himself? Was he really all he seemed? Offered in a special setting, Murder on the Orient Express, one of Agatha Christie’s most popular stories, continues into its second weekend reading! 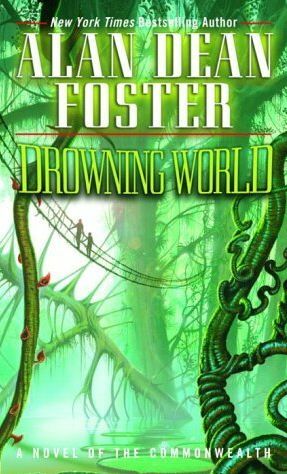 They call it the Drowning World; Fluva, a planet on the fringes of the Commonwealth where the rain is – but for one month in the year – maddeningly torrential. For Chief Administrator Lauren Matthias, it is a new posting; one which comes with a major requirement: keeping the indigenous and warlike Sakuntala and immigrant and hard-working Deyzara, from annihilating one another. 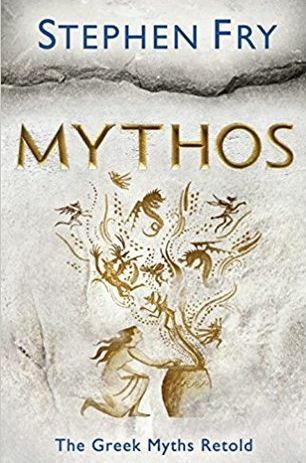 But when the vessel used by bio-prospector Shadrach Hasselemoga crashes in Viisiiviisii, an immense, mostly unexplored jungle, and the wettest place on the planet, Matthias must dispatch a team made up of one Sakuntala and one Deyzara on a rescue mission. Can the two form an alliance long enough to both rescue Hasselemoga and survive the deadly jungle? But as the mission unfolds, Matthias realises something much bigger and darker is occurring on Fluva. A mysterious presence is at work, manipulating events, one which not only puts the lives of the rescue mission at risk, but also her own – and which could ultimately threaten the Commonwealth itself! Join Gyro Muggins as he reads story #21 in Alan Dean Foster’s Humanx Commonwealth series. Corwyn Allen dives into Jim Butcher’s 2018 collection of several of his excellent short stories and novellas from the universe of Harry Dresden. 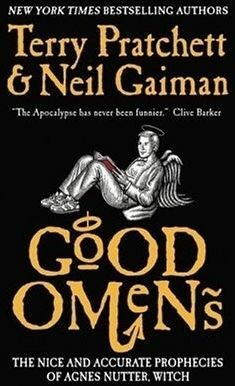 Caledonia Skytower reads selections from Neil Gaiman and Terry Pratchett’s Good Omens: The Nice and Accurate Prophecies of Agnes Nutter, Witch. According to this tome of very specific and very accurate prophecies – written in 1655, shortly before Agnes exploded (which tends to happen when you pack 80 pounds of gunpowder into your petticoats ahead of a mob of self-righteous twits burning you at the stake for being a witch) – the world will end on a Saturday. A tale of the Wilder West with Shandon Loring, also presented in Kitely (hop://grid.kitely.com:8002/Seanchai/144/129/29).